Nose: Light & sweet. Lemons and limes. Quite malty. Palate: Lots of malt, lots of oak spices, traces of vanilla and honeyed breakfast cereal. Also a slight lemon hint. Mouthfeel: Thin, warm, quite sharp. There’s a decent amount of alcohol on the tongue for a whisky of its strength. Finish: Short-medium length. Heavy on the malt with traces of vanilla and honey. This is a decent-enough whisky with fairly basic notes on the palate – it doesn’t really distinguish itself in any way, but likewise is not obnoxious at all. A completely drinkable whisky, but not one that I’d go out of my way for, nor one that I’d likely order at a bar. Distillery Warenghem is located in the north of Britany in France. Warenghem was founded by Léon Warenghem in 1900, and is still a family owned and operated business. Originally a distillery of liqueurs, first herbal (still available), and then fruit liqueurs; they moved on to whisky production with blended whiskies in 1987, and finally on to single malts in 1998. Warengham has won several awards and medals in the intervening years, showcasing the growing strength of French whisky production. The distillery is located by the Rest Avel spring, where Yves Leizour and Paul-Henri Warenghem, the third generation, moved the distillery after taking over the management in 1967. The whisky is distilled in two copper pot-stills before being aged on-site in the cellar. The local climate and terroir is quite similar to Scotland and Ireland – making it an ideal location for whisky production. 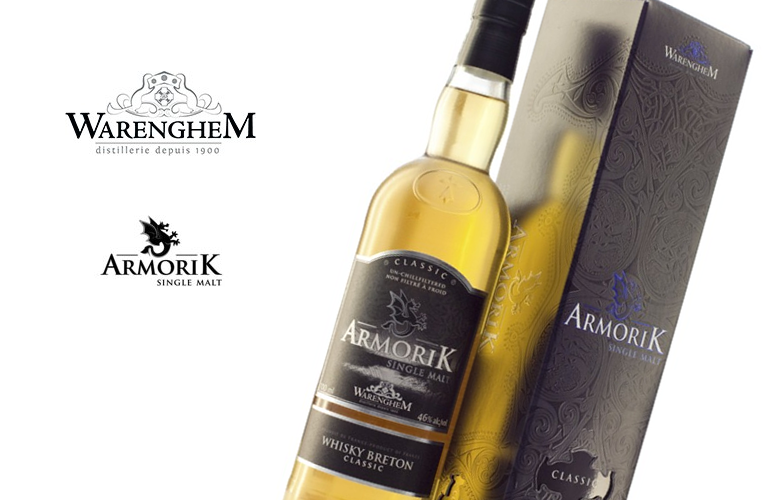 Amorik Classic is the flagship of Warenghem’s single malt line, and is a marriage of multiple vintages of both ex-Bourbon and Sherry casked spirit. Amorik Classic was bottled at 46% ABV, with no chill-filtering. The Amorik Classic is a decently built whisky, but doesn’t really stand out in any way for me.